Welcome to the re-launch of the Retro Re-pin Party! It's Tuesday and you know what that means. It's Retro Re-pin time. With a new re-launch I decided to feature a way to make money. Who would not like to make extra money with your vacation pictures? Make sure you tell all of your friends about the new Retro Re-pin. The more people who you share the party with could mean more views and pins for your Pinterest Pins. You and your friends make this party what it is. So go share share share and pin pin pin. We have some exciting things happening this week with the Retro Re-pin Party. You may have noticed some new blog names in your reminder email and in the list below. That's because we're changing things up a bit and have brought some new hostesses on board to re-launch the party! First off, since many of you are new (welcome! ), we wanted to explain a bit about the purpose of the Retro Re-pin Party. The idea for this party is a quick, weekly link party where you can share some of your older (or "retro") pinned blog posts and give them some new exposure while growing your Pinterest reach. We all have so many great things in our archives, so we wanted to give them a place to shine again! Hi! I'm Stephanie Powers, and I'm an Austin, Texas native living in Denver, Colorado. I blog about my favorite Tex-Mex and travel-inspired recipe creations, weekly meal plans, food photography, and tech resources for bloggers. I want to make it easier for you provide sustenance to your family and understand the blogging world. Hi! I am Felicia and I blog over at the Nifty Thrifty Family (the blogspot not the dot com) I blog about anything and everything. I try to help you save money, I providing honest reviews of recipes and products, I write about life happenings and the DIY projects. Hi! I'm Deborah from Mommy Crusader and her Knights and Ladies. My blog is about helping families and children flourish. I write about educational activities, family experiences, kid crafts and activities, and the day to day life of a mom with 5 children. I’m Gennie, the writer behind “The Gift of Gab”. I’m a Biomedical Sciences Researcher who is passionate about studying the human body with a specific interest in nutrition. I’m a wife to an incredible, supportive man and a “fur mom” to two adorable pets. I write mostly about our life in Utah after moving cross-country from Missouri and my experiences in the kitchen, and I throw in tons of DIY projects, travel stories, and some fashion and faith, too. I am a twenty-something, Bride to be, Midwestern gal who grew up playing hide and seek in the cornfields, chasing after runaway horses, and taking the canoe down the river on the weekends. These days, I am working on finishing up my degree in Communications and Theatre, and planning my Summer 2015 wedding. I write about finding joy in the ordinary, and beauty in the mundane on my lifestyle blog, Dandelion Pie. I'm a Pastor's Wife & a mom of 4 amazing kids ages 2-10. I'm also a runner with a goal of completing 40 marathons or ultras before my 40th birthday. I love adventure and taking on new challenges, and I hope to encourage others to do the same through Forty by Forty Fitness. 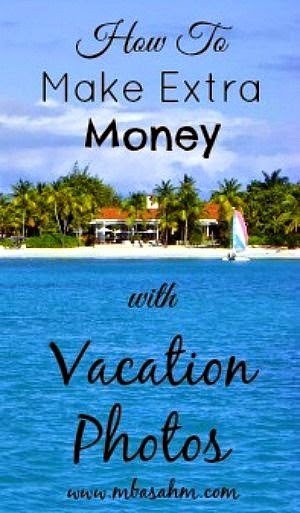 Goes to MBA SAHM for their Pinterest Pin of How to Make Extra Money with Vacation Pictures. Follow The Retro Re-pin Party Board on Pinterest. 2. Re-pin at least 2 other pins because that's why we're here! 3. Link back to us and follow your hostesses on at least one social media if you would. It's the nice thing to do!